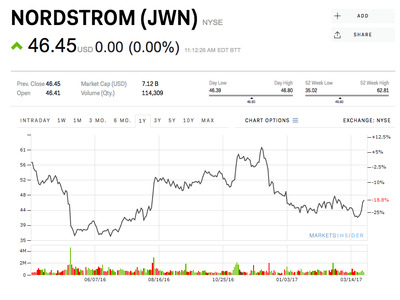 Nordstrom may be one of the only companies to survive the death spiral of traditional brick-and-mortar retailers. And that has equity analysts at Credit Suisse bullish on the stock. In a note out Friday, the bank said that Nordstrom will be one of the only traditional apparel retailers that will be able to drive revenue growth and expand its operating margin in 2017. That’s impressive considering the numerous pressure points underpinning the retail industry, which is pushing some companies to the brink of bankruptcy while others shut stores and lay off workers. According to Credit Suisse, Nordstrom was quick to adopt e-commerce capabilities. And now the firm is reaping benefits for its foresight. 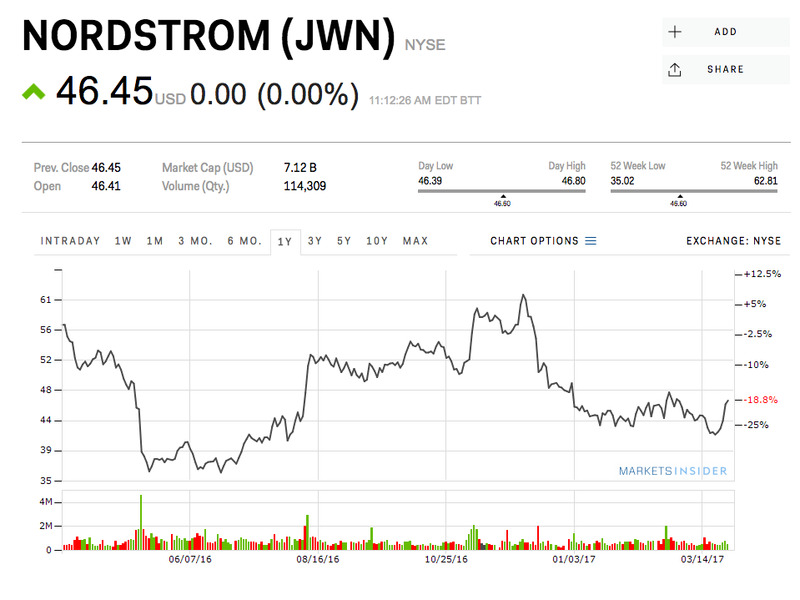 The bank expects Nordstrom’s e-commerce business will witness continued growth over the next few years. “Overall online sales for the company is estimated to constitute about 27% of total retail sales by 2021 and approximately 30% of total company’s operating income,” the bank said. “That’s a significant improvement from the current level of 22% of total sales and only 15% of total operating income in 2016,” the bank added. 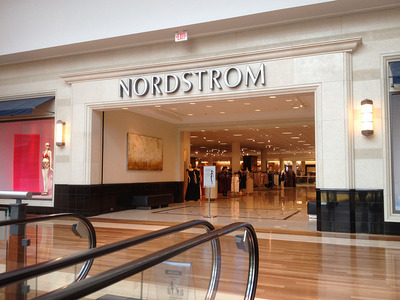 As such, the bank has a price target of $US52 per share for Nordstrom, above its current price of $US46.56 per share.